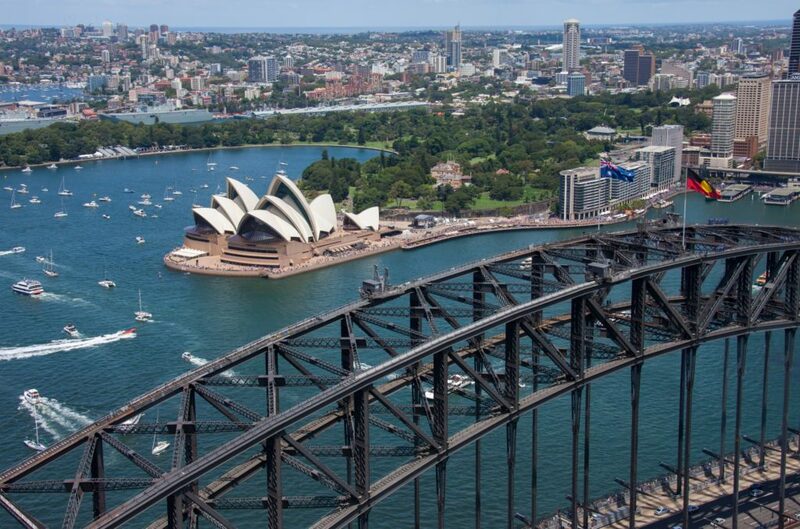 History, culture and adventure – this 5-day program of Sydney has it all. Not only will students learn about Australia’s early settler history and participate in indigenous cultural experiences – they’ll also get to scale bridges, explore rainforests, embark on a guided ghost tour and make a couple of furry new friends! Scenic World At Scenic World students will enjoy a one way trip on the Scenic Cableway, which takes them on a 545 metre ride into the World Heritage-listed rainforest of the Jamison Valley. Once at the bottom, they'll experience the 300m scenic walkway on the way to the base of the Scenic Railway. The railway is the steepest incline railway in the world! Quarantine Station Ghost Tour Used as a Quarantine Station between 1833 & 1984 over 500 people died from deadly diseases such as Bubonic Plague, Spanish Influenza, Smallpox & Typhus. Even during its operation, stories of ghosts & paranormal occurrences at the Quarantine Station have been reported. Learn of the many stories of the occupants here and gain a spooky insight into their lives whilst staying at Quarantine Station! Departure After the zoo, board your coach to the airport and begin your journey back home! Thank you for your interest in our WorldStrides Sydney Discovery Tour Tour! Please tell us a little more about yourself so we can get you sent to the right place.